This is an ink jet print on supreme photo paper with rich colors that last. 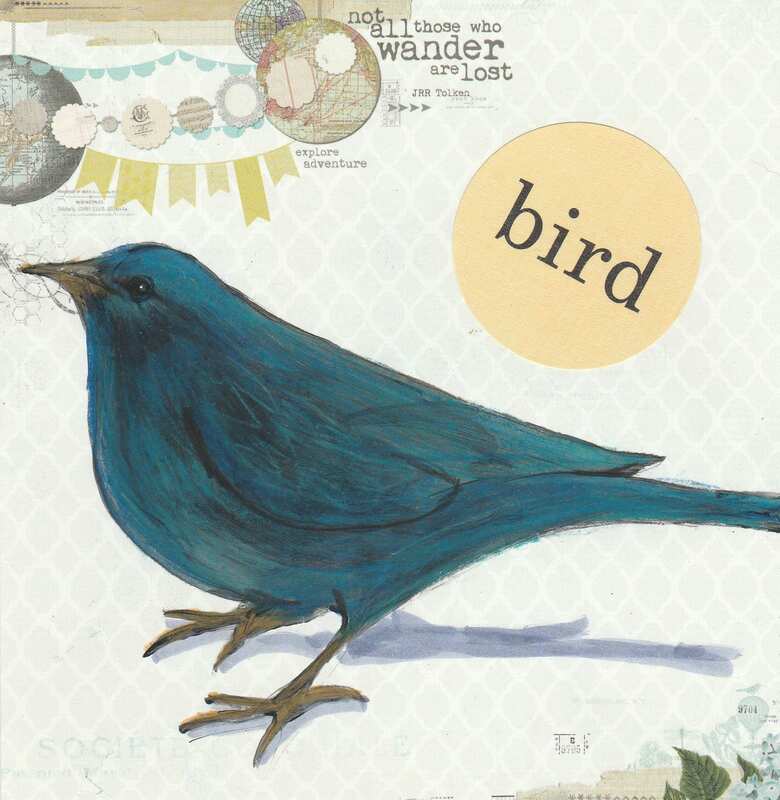 Perfect for a bathroom, kid's room or ANY room where you'd like a bird theme. The original is a mixed-media piece painted with acrylics on patterned paper and detailed with colored pencils. The shadow is grey marker. The print will be on 8.5 x 11 paper with a white border and will be signed in the lower right under the image. It will be shipped on mat board in a cello sleeve.